Hot Pie and Arya meet again in Game of Thrones, season 7. 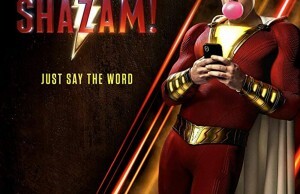 Ooops! Spoiler alert! 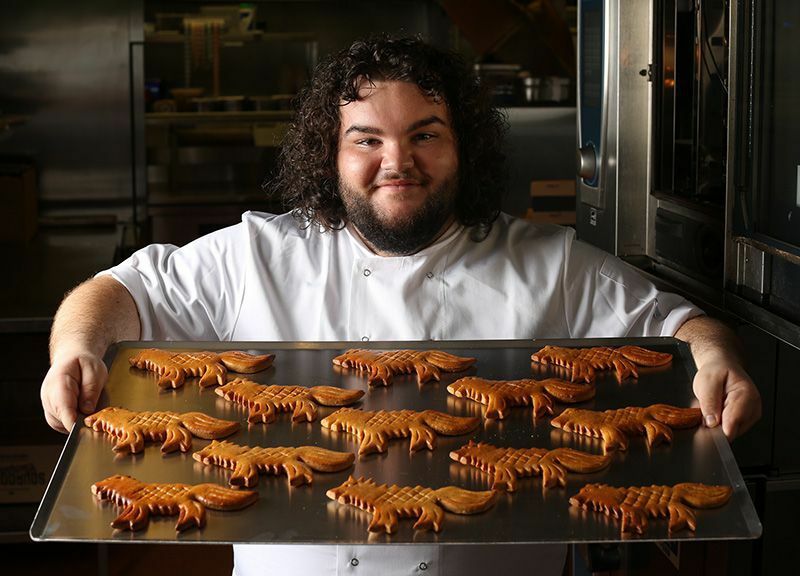 Sorry, guys, but they meet again and, apparently, Hot Pie got even better at making his special pies and bread loaves . Arya is very impressed and feasts on one while talking with his old pal. We’re not going to tell you what they are talking about, no, we leave the spoilers there! 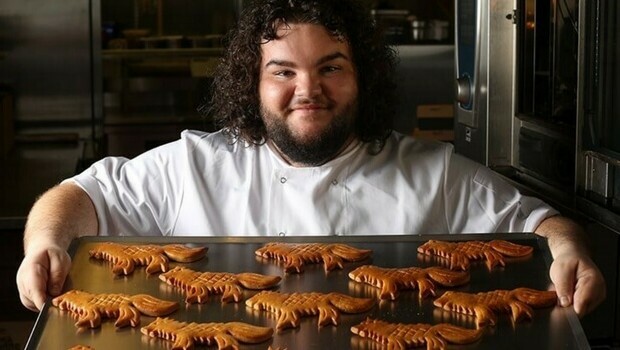 Anyways, we’re not here to give you spoilers, we’re here to tell you about Ben Hawkey, who plays Hot Pie in Game of Thrones. 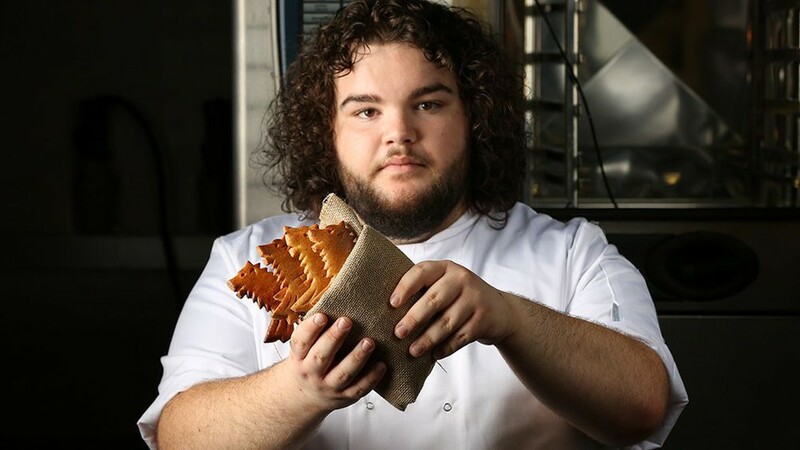 He has teamed up with Deliveroo and opened a limited-time bakery called “You know nothing Jon Dough” and is selling his iconic Direwolf bread. 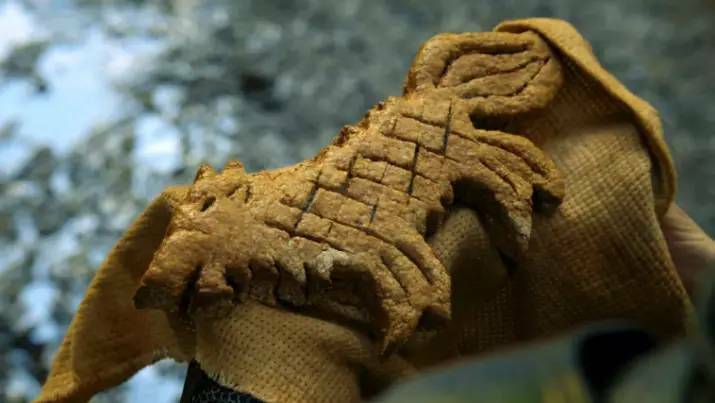 You know, he gave Arya one in season 3 and, in season 4, he handed Brienne one Direwolf loaf of bread, a much upgraded and better one to give to Arya in case she meets her. 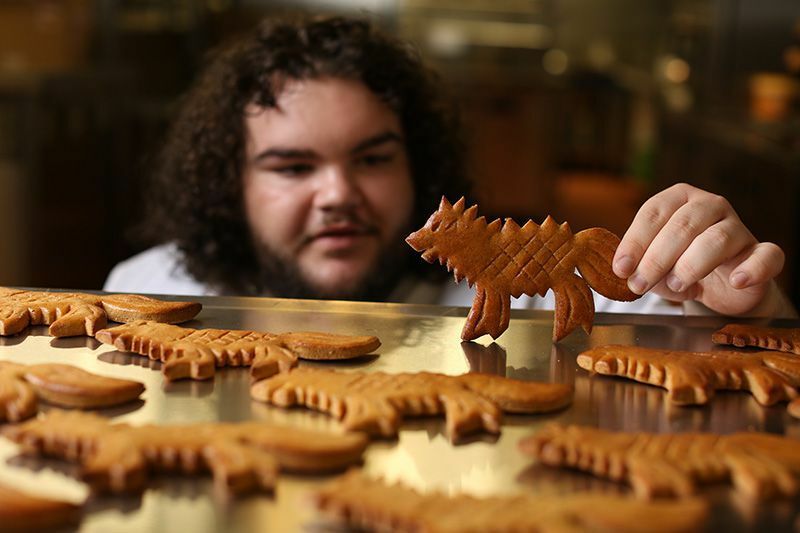 This time, you can eat Direwolf bread in real life and meet the original Hot Pie and see for yourself how talented he really is at his craft. 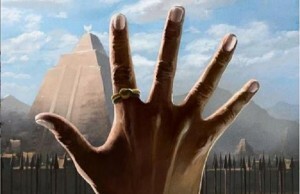 We heard this Game of Thrones speciality tastes like “wholewheat cornbread with orange zest”. It is all sold out now, but hopefully we’ll get more. Deliveroo sold the Direwolf loaves for just £1 each . We can’t wait for more. Have you tasted them yet? 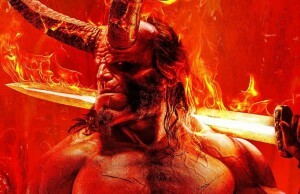 Anyways, this is another great way to celebrate the seventh season of one of the most loved tv shows in the history of modern television, as we have already seen White Walkers walking down the streets of London and a lot of craziness about the movie and hashtags and all that going on social media. Now, we can’t wait to see the next episode. Maybe we’ll get to watch it while feasting a Direwolf loaf of bread. ← Previous Story 9 Incredible Makeup Brushes Sets You Must Have!